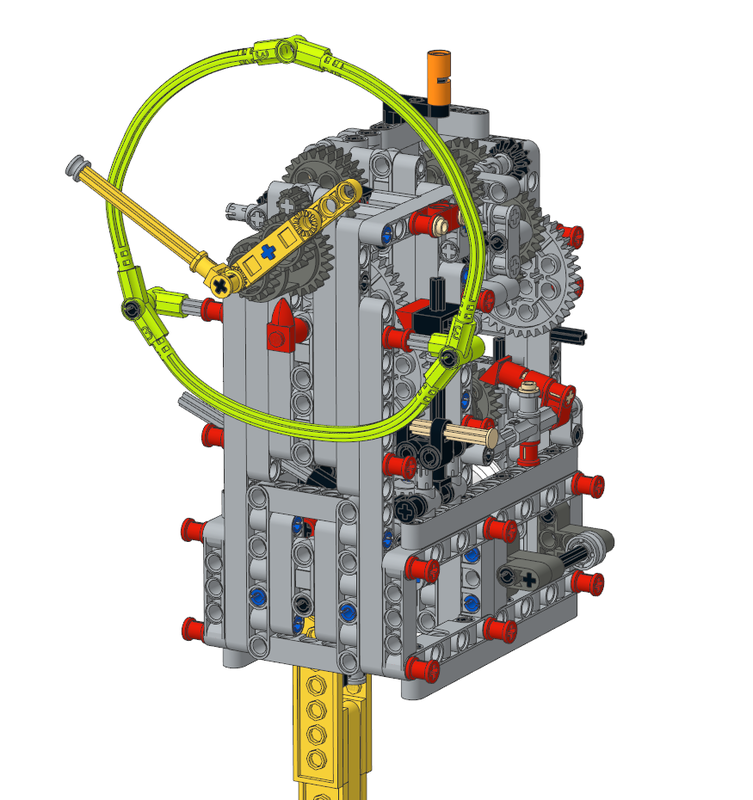 A lego galileo clock, with knive edges escapement pendulum. This clock will run for long time thanks to its 60mm drop rate/hours. Which means with 720mm of string and place below, it will run for 12h. it has two concentrical hands (minute and hours) and a small other hand (second). 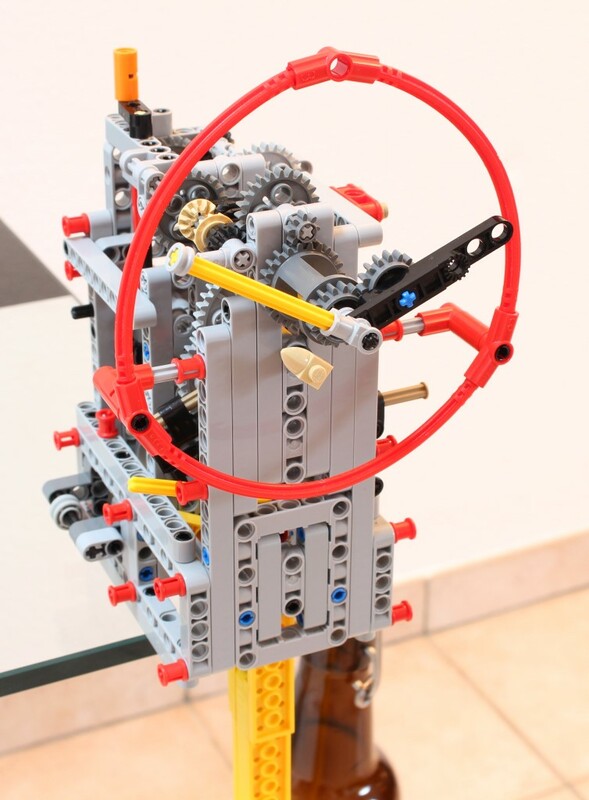 It is only composed of lego parts, except the weight. Please go to my blog to see more pictures, informations and see the tips and video for tuning the clock. Please note that you weight is not included in the package. You have to use a thin and heavy weight for running the clock. I advise to use a 650gr weight (water glass bottle for instance or metal bar). Please also note that the front red dial is supplied in green lime version as the picture above. 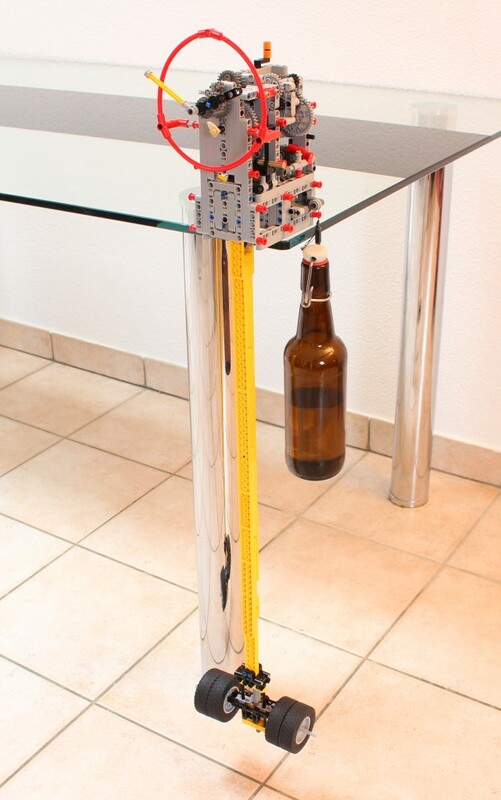 has a tiny but heavy bottle, in order that the bottle don’t touch the pendulum when it goes down. Of course you can use metal weight. Require weight is about 650gr with 50mm of maximum diameter. The PDF instructions are included in the price.